Loot boxes and single-player RPGs don’t seem like the most natural fit, but Shadow of War tries desperately to make it work. 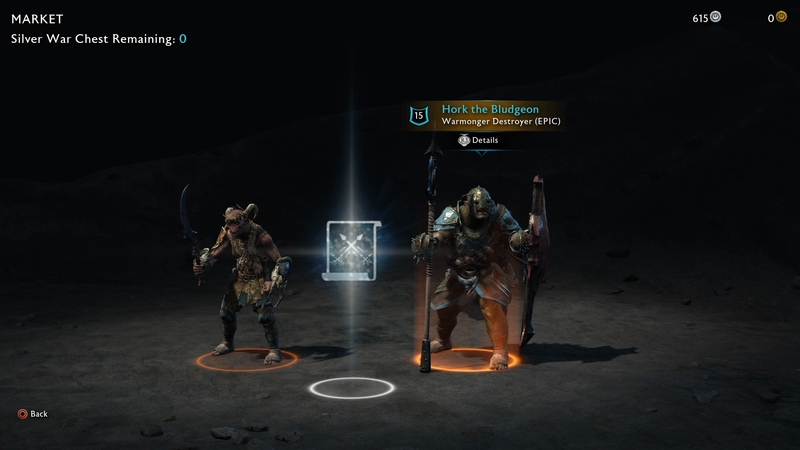 Loot boxes are here to stay at least for a little while, it seems, and among all the discussion about the quality of the sometimes brilliant, sometimes middling Shadow of War there’s been a lot of talk about its deployment of a loot box system. Shadow of War is just one of many, of course, with the next major loot box-filled triple-A title being Star Wars Battlefront 2 – but Shadow of War is fairly unique in that it’s a single-player focused RPG. On paper, that makes sense less. I’ve fallen into the loot box thing in a few RPGs in the past, but they’ve all been Japanese gacha-based mobile ‘random draw’ games rather than large-scale open world console RPGs. Further, those games were otherwise free. 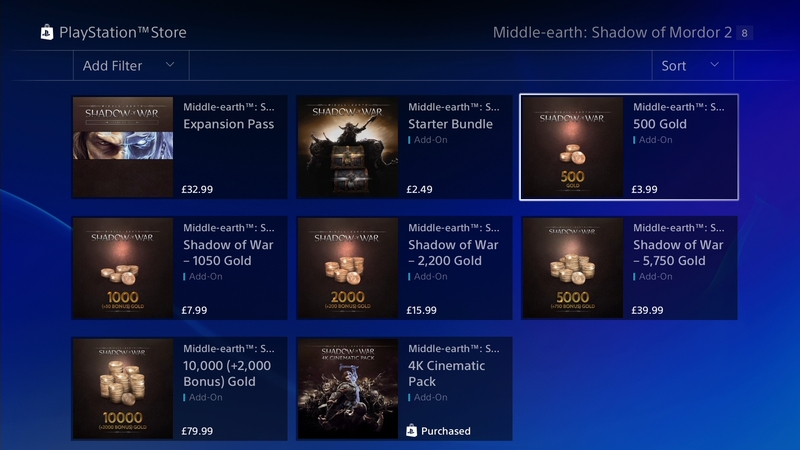 Shadow of War is full price – so the obvious question lingers: is it fair? Is it balanced? Well, it’s hard to say. A lot of it depends on perspective, and a chunk of it also depends, to be blunt, on how good you are at the game. The game’s final act before the ‘true’ ending features some really challenging battles that no doubt will be a lot easier if you drop some money on loot boxes to better equip yourself for the fights, but if you’re competent and were fastidious about grinding out mission content and picking the best build for Talion in Shadow of War’s skill tree throughout the rest of the game you can also push through these challenges without much of an issue. It’s also difficult to say because of how complex Shadow of War’s systems are. There are four types of quest and multiple types of currency. First there’s the free-to-earn Mirian that can be spent on perks and other bonuses in-game, including Silver Loot Chests and War Chests. Mirian is pretty common, and there are powers and items you can equip to even make grinding it out more simple. Honestly, you should always naturally have quite a lot of Mirian to hand at any given time. Gold is far more rare, and by far the easiest way to obtain gold is with real cash. There are ways to earn it naturally, but they’re few and far between. Gold gives you access to higher-tier chests of the Gold variety, plus things like XP-boost potions, which were definitely featured in Tolkein’s original vision of Middle-Earth. He’s not spinning in his grave at all. Snide comments aside, there is a serious conversation to be had about this side of the loot boxes in Shadow of War – how they fit with the lore. 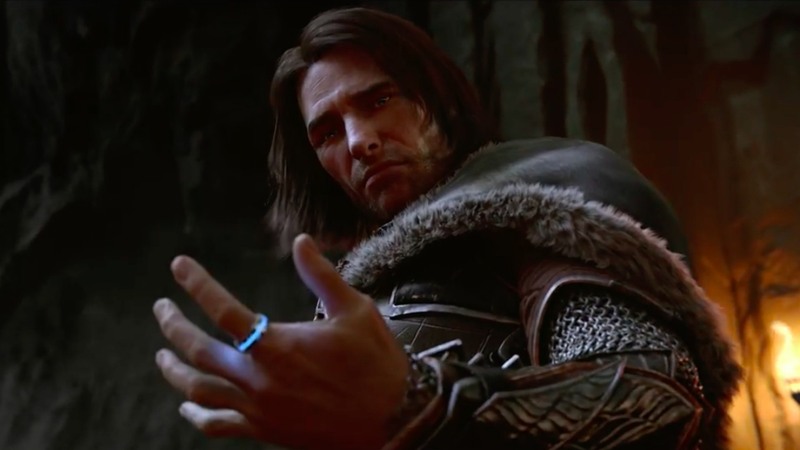 Shadow of War is so obsessed with a plodding, hand-wringing story that it’s actually to the game’s detriment, but orcs joining you at random based on some cosmic dice roll is something the narrative isn’t concerned about. This sort of thing is easy to gloss over, but when you stop and think about it – yeah, it feels narratively broken. But, hey – let’s talk about the money, which is where the online discourse has been centered. A Silver War Chest costs 1500 Mirian and includes two new Orc Followers. At least one of your new followers will be Epic. On top of that you’ll get a consumable. A Gold War Chest costs 200 Gold and includes three new Orc Followers – but this time at least one of them will be legendary while the other two will be at least epic. You’ll also get 2 consumables. As you can see, these are basically the same item but the Gold version will net you more stuff and also better quality stuff to boot. This is true across the board, really – there’s a variety of chests that fit into the Silver and Gold categories, while the gold-exclusive Mithril Chests are better still. Broadly speaking, chests are split into War Chests, which contain orcs, and Loot Chests, which contain loot, but the overall structure is the same. If you’re absolutely nuts you can buy 10,000 gold for £79.99, which also includes 2000 bonus gold. There are various price options in between – and the more you buy, the better the overall value. At the most basic level, opening five basic Gold War Chests in order to get new Orc Followers will set you back £8, basically. So – are the loot boxes fair? As I mentioned earlier, this question is difficult to answer. Shadow of War is a game with a whole lot of content, and the flow of orcs and loot is steady throughout the game. 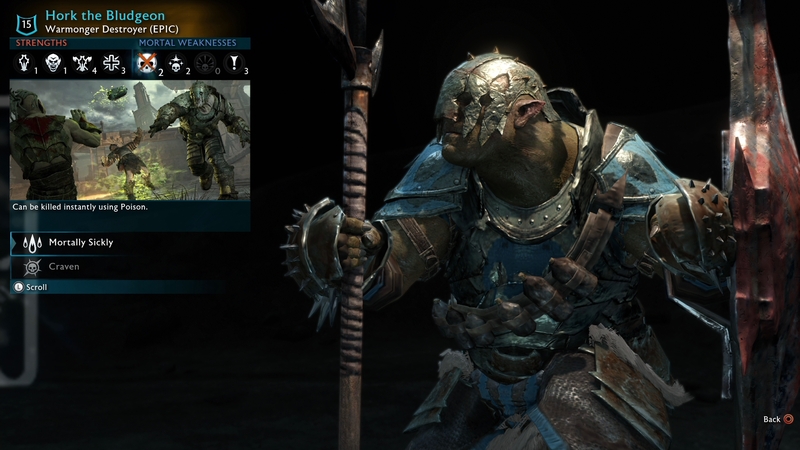 Some on social media have been complaining that legendary orcs are ridiculously rare, but I’ve found quite a few here and there without opening gold loot boxes or spending extra cash. It’s totally doable – it just takes time. Shadow of War has a lot of places to grind, and in true RPG fashion you can easily grind out rare orcs or force others to grow by exploiting the game’s clever nemesis system mechanic. With all that said, the loot box perhaps exposes a general problem in Shadow of War: the game does get on the repetitive side as it wears on, and nowhere is this felt more keenly than in that final stretch towards the ‘true’ ending of the game – the same section some have been saying is far too difficult without loot boxes. Polygon called the push on the player to pony up some cash to make matters easier in this segment ‘predatory’, and while I don’t entirely agree with that it is true that the grind begins to feel truly real here, and it’s plain this is why it’s caused some to complain and others to open their wallets. That repetitive nature is dangerous, then. As the game gets difficult and forces you to complete the same tasks, assaulting fortresses and taking down familiar orcs in nail-biting battles repeatedly, it’s easy for that voice to begin to nag: buy a loot box. Buy some gold. A legendary bodyguard will make things a whole lot easier! This, obviously, is a bloody slippery slope. In this regard the controversy is at least partially justified. This is where the interesting question is raised. The loot boxes seem fair enough when you keep in mind that you can grind around them, but does their existence make developers and publishers more likely to make RPGs with a brutal end-game grind? This is certainly what Shadow of War is edging towards, and one has to wonder if the grind is by organic design, or if it’s instead influenced by the desire to get people to buy loot boxes. This design isn’t dissimilar to how mobile developers target those who are deepest into their endless treadmill game with the most aggressive and expensive products – those who reach the end are more invested and thus more likely to pony up. Monolith and Warner’s intention is impossible to know, and that’s part of why I’m being so measured. For the majority of its lengthy, extensive running time Shadow of War is packed with non-grindy content and perfectly enjoyable without even thinking about loot boxes – but the latter half of the game could be a worrying precedent. Know that while the boxes are never required, in some areas of the game they’ll help significantly. You probably already know what you think of that.